Don’t look at the Moon!! It’s Ganesh Chaturthi!! 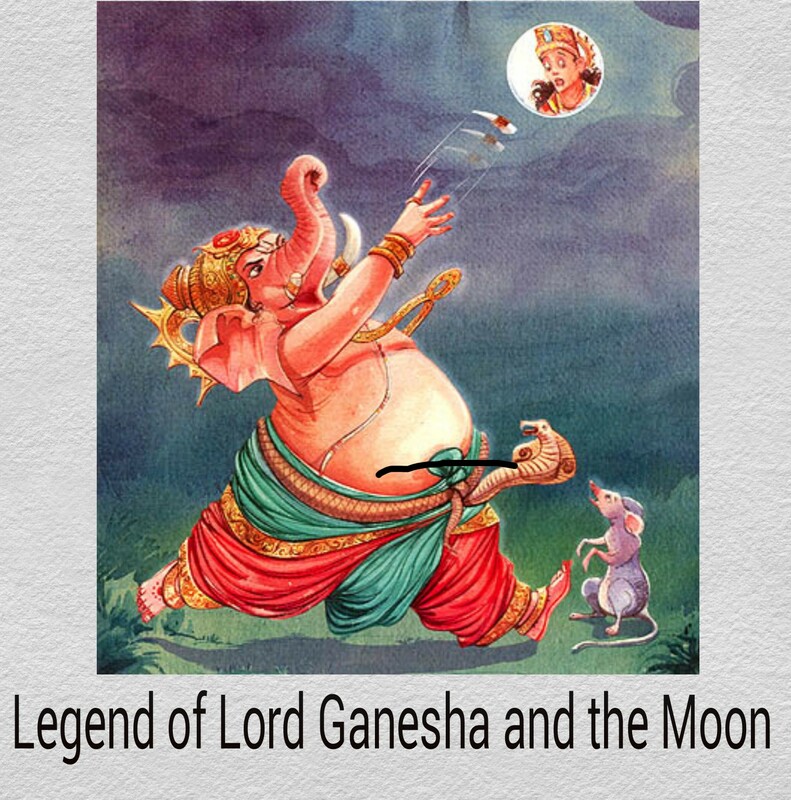 On the occasion of Ganesha chathurthi, I would like to post a story about one of the very famous legends in Hindu mythology. It’s a legend passed down through generations. 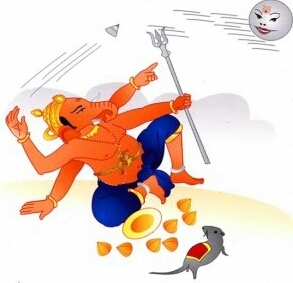 Very often in childhood I was reminded by my granny not to look at the moon on Ganesha Chathurthi.. It was believed to be inauspicious.. Why so?? 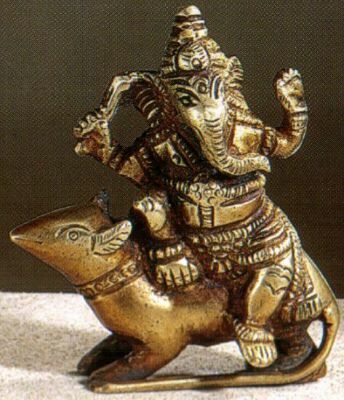 The ancient story goes such..
On Ganesha chathurthi which is the Lord Ganeshas birthday, The beautiful Elephant headed God was returning home on his Vahana (Vehicle)..
All Indian Hindu gods have a companion in the form of vahanas. In this case it was the humble Mouse. 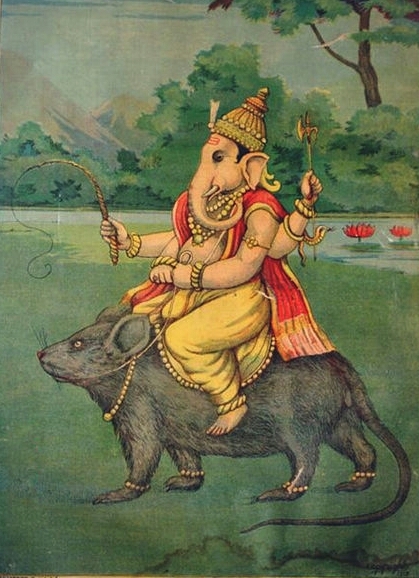 So, Lord Ganesha was returning home with a full stomach after feasting on the delicacies offered by his devotees all pleased and happy, when a snake crossed the path. The mouse terrified of the snake stopped and down tumbled the Lord and the Lords stomach burst open and out fell all the food. The Lord fearlessly caught hold of the snake and tied it around his open tummy. All these happenings was being watched by the Moon above in the sky. 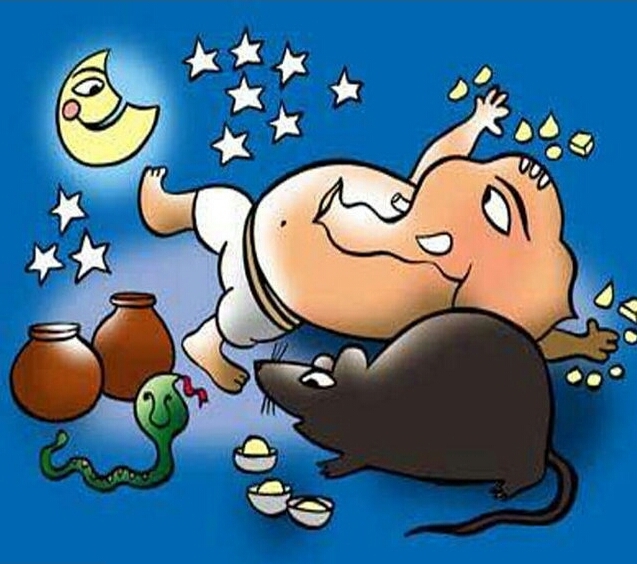 When the Lord fell, the Moon burst out laughing looking at the elephant headed boy with a big tummy riding on a small mouse. This enraged the usually calm Lord and he cursed the moon. He wanted to teach the moon a lesson for his arrogance. He cursed the moon to be invisible. The moon hid behind the clouds and was terrified to come out. 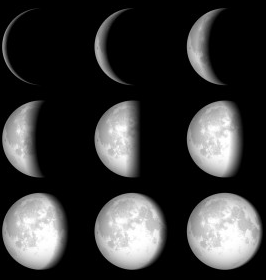 Later on the moon pleaded for mercy and forgiveness and then Lord Ganesha modified the curse and said that the moon would undergo regular waxing and waning to remind him to be humble and hence the once glorious and proud, brightly shining moon became dark and lustreless and is seen only twice in its full form in the sky. The Lord also added that anyone seeing the moon on the 4th day (Chaturthi) of the Bhadrapada month would be blamed for something which they did not do and face unjust criticism. If anyone sees the moon unknowingly has to listen to the story of the “Syamantaka jewel” from the Hindu puranas. Lord krishna had accidentally seen the reflection of the moon in a vessel on Ganesha Chaturthi day hence even He wasn’t spared. So though this is just a legend we still follow it. It’s not about superstition or being orthodox but India being a land of rich ancient culture and born out of mythology, I feel no harm in listening to it. It’s just a belief.. Hope you all enjoyed the story as much I did. 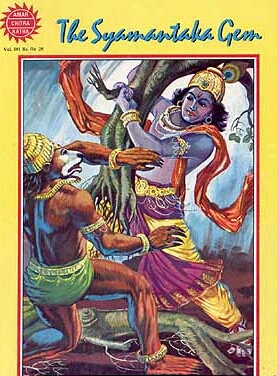 Pics courtesy : Amar Chitra Katha and Google images. You just added to my repository of legends ! I had never heard of this before. A lesson for everyone to be learnt – Pride always has downfall’. It was a delightful read ! Glad you liked it.. 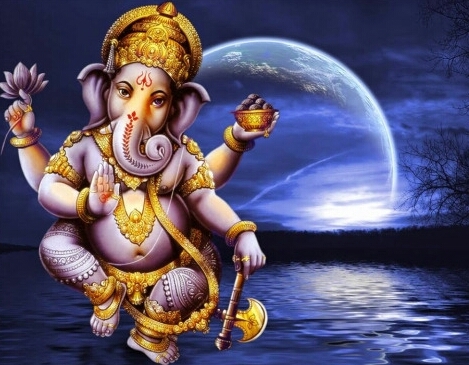 I also adore Ganesha.. We call him “golu polu” in hindi.. I am always amazed at the imagination spoken in the mythology, let it be greek or indian or any other. , to think of these beautiful creativity arising from someone’s mind and then passing it on for generation…Thanks for sharing. btw the link to “syamantaka jewel story” is not working. Sorry about it.. Not sure whats the problem.. I will just look into it..
Ganesha is the cutest possible being and the fact HE is a God makes it all the more fascinating. A previously unheard of tale! Thanks. Had never heard this story before. 🙂 Thanks.